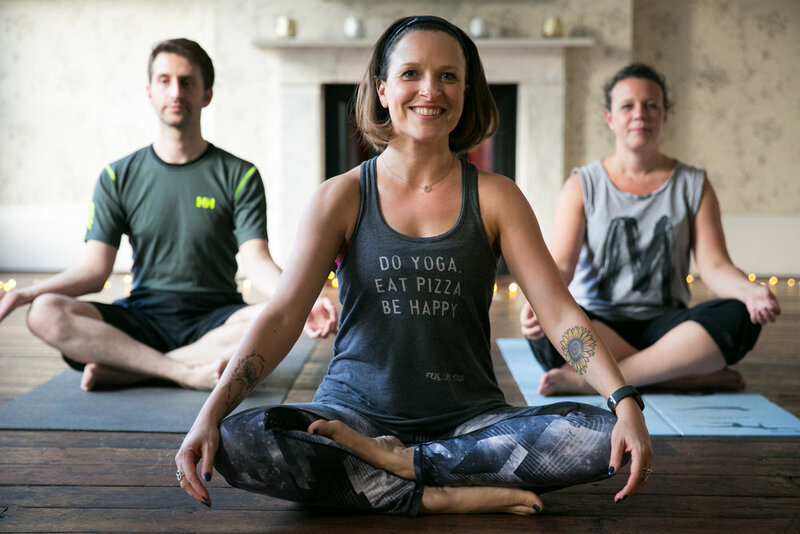 Learning yoga in a big group can sometimes leave you feel more frustrated and frazzled rather than stretched and soothed – which is kinda’ ironic when you think about why we’re doing it in the first place! The trouble is, there is some real subtlety to the combination of breath and movement. If you miss this, don’t get the personal attention you might need, or the teacher doesn’t have time to give you the modifications your body needs, you’re just not going to get to feel the good stuff that yoga brings. If you're a complete beginner you'll get a wonderful introduction to yoga and a thorough grounding in the basics you need to know. If you're a more accomplished yogi, together we'll build on your existing practice and delve a bit deeper into your own areas of interest. If you're recuperating (from an injury, or an illness, or just from the effort of life in general!) you'll be fully supported to restore and recover. The beauty of learning yoga like this is that the practice can be developed at exactly the pace which is appropriate for you so you’ll end up getting much more out of the sessions and making progress at a much faster pace. Plus you don't have to see a whole room of sweaty strangers from weird angles. Everyone's a winner. Individual classes are £65 per hour but guess what? I've got a package! Yes! I want to be a Yoga VIP! Sign me up for the perfect package. Sessions are usually 60 minutes and will be tailored specifically for you. Whether you have a regular practice, or have never set foot on a yoga mat, lessons like these can provide the perfect opportunity to get all of the ‘mmmm’ bits of yoga, rather than the ‘eh?’! Lessons can be taught either in your own home in London (if space allows), or at a lovely private venue in SE19. Please note that if we're unable to do the session in your home, there will be an additional £15 charge (per session) to cover the room hire. If I'm required to travel further than 7 miles from my location (SE19) there may be a small additional charge to cover my costs; this will be all be made clear as soon as we confirm the location of your session/s. Don’t forget – these sessions can be 1-to-2 if you’d like to share the session with a friend or partner. The cost remains the same. I wanna be a yoga vip! Book 3 classes and pay just £180! Price stays the same for 1-to-2 lessons. So what are you waiting for? Go find a friend! Just the one lesson for me, thanks. GIVE ME AS A GIFT! No - not like that. It would be weird. I mean you can buy the gift of a VIP lesson. After all, who wouldn't want the present of feeling happier and healthier? I'll provide you with a certificate (sent to you via email) which you can print out for the lucky recipient. Contact Meg for more details.